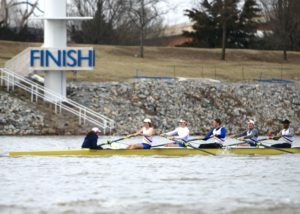 Dallas United Crew (DUC) continued its strong spring regatta season at the 2019 OKC Junior Invite, which took place in the Boathouse District on March 23. Started in 2011, this rowing competition began with four teams and has grown to include teams from across the Central Region, including Oklahoma City, St. Louis, Houston, Austin and many Dallas area crews. DUC fielded over 100 athletes with an impressive 13 boats of 20 placing in the top 3 in their flights. Many of the races were photo-finishes with a mere 2 seconds separating first and second place. All were hard-fought in preparation for the Central Regional Championships to be held in May. 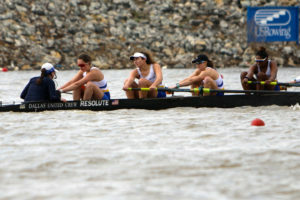 Next on the regatta schedule for DUC is the San Diego Crew Classic.